These super easy gluten-free pumpkin pie bars have an oat-based streusel crust as well as topping and are sure to be a hit anytime this fall, and don't leave them out at the Thanksgiving dessert table! I used a mix of oats and oat flour, which makes this a great recipe to start off with if you’re new to gluten-free baking. They’re also coincidentally 100% whole grain. More importantly, nobody will be able to tell that these are gluten-free or whole grain! The texture of the streusel is just like that of one with all-purpose flour and I was also generous with the cinnamon, which covers up any whole grain taste. Head over to My Baking Addiction for this delicious recipe! One of my favorite treats from Starbucks is their Pumpkin Cream Cheese Muffins. 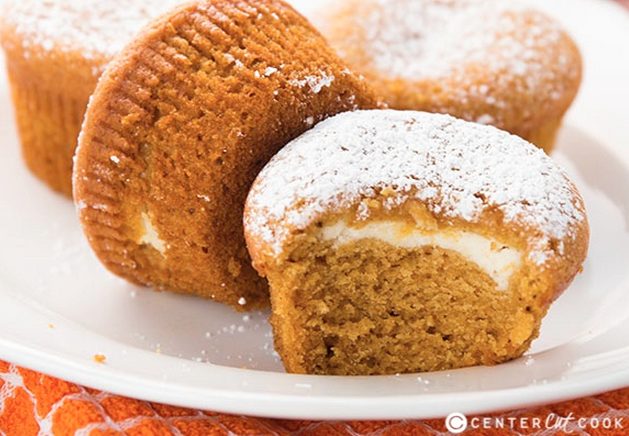 When you combine a soft pumpkin muffin with a decadent cream cheese filling, you’re left with a muffin that is so hard to resist! Because I’m obsessed with the Pumpkin Cream Cheese muffins that Starbucks sells, I decided it was worth a try to make my own version at home. This muffin recipe is super easy to make, and the result is swoon worthy. When these Pumpkin Cream Cheese Muffins come out of the oven, you can either dust them with powdered sugar or leave them as is. 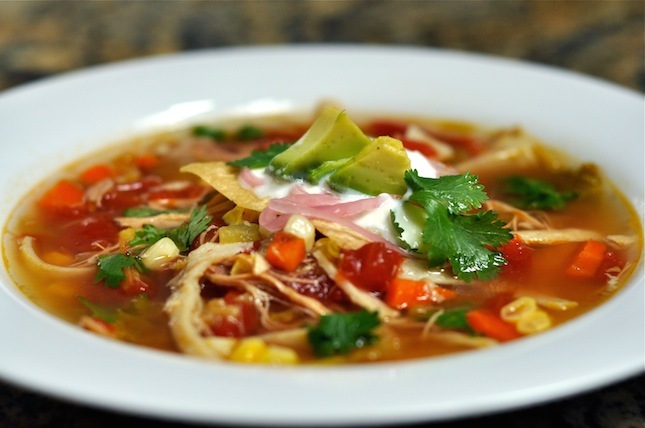 Head to Center Cut Cook for this great recipe! 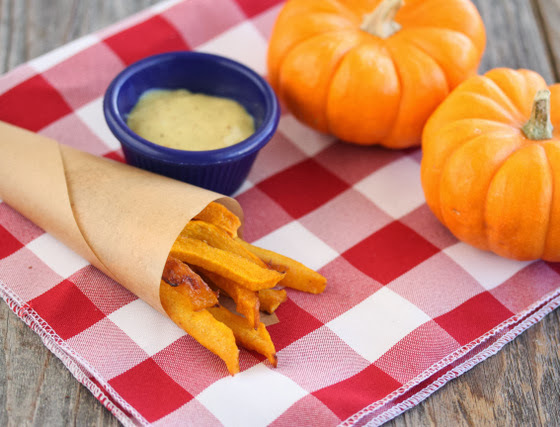 Sweet potato fries have been a big trend the last few years, which made me think, why not pumpkin fries? Mr. K was really skeptical, but these came out great. I chose to bake them rather than fry to make them healthier. They came out crunchy on the outside, soft and sweet on the inside, and taste very similar to sweet potato fries –but more pumpkiny. They used some olive oil and cinnamon to make theirs but get creative, some cinnamon sugar would be great, garlic and salt etc. Head to Kirbies Cravings for their recipe. 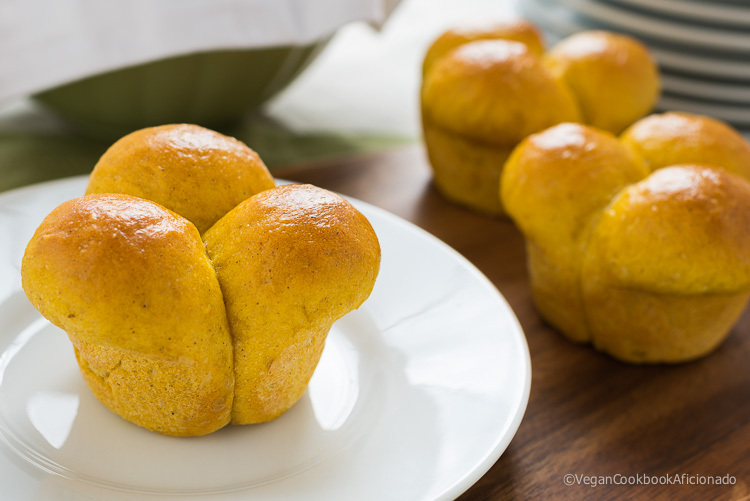 Lightly spiced and lightly sweetened pumpkin cloverleaf rolls are a seasonal spin on the classic bread roll. 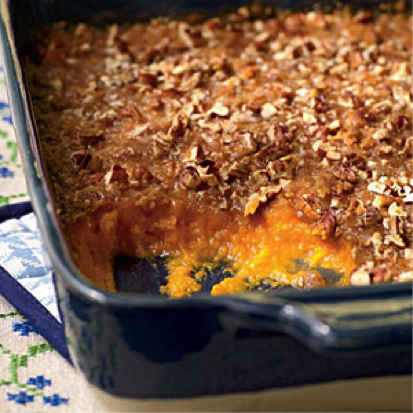 Soft, fluffy and a must for any Fall dinner table. The pumpkin in these not only gives them a nice orange hue but it also adda moisture to give them that soft fluffy texture (nom!). They’re lightly spiced, with just a hint of pumpkin flavour and are not overly sweet, so they still go well with all that tasty gravy. They’re best fresh out of the oven, trust me on this one, I nearly burnt my mouth off but it was so worth it. The recipe below only makes 12, but if your dinner guests love bread as much as I do, you’re gonna wanna double or even triple the recipe, and then watch as they quickly disappear from the table. 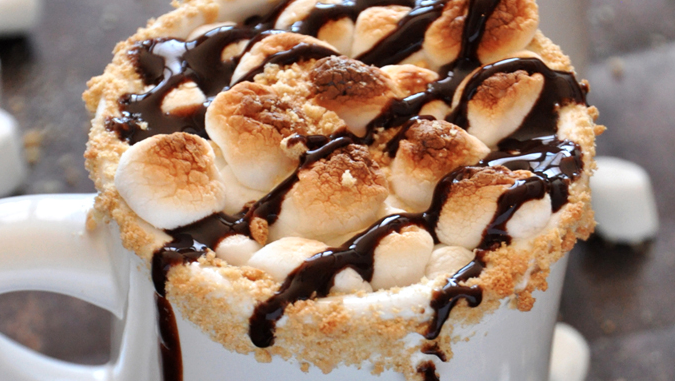 Head to Cook Book Aficionado for this recipe! 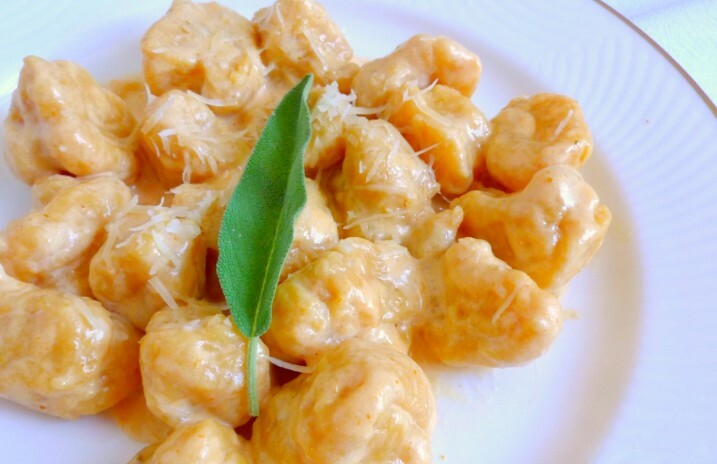 Pumpkin Gnocchi with Pumpkin & Sage Cream Sauce, yum! Head to Town and Cooking for this great recipe! This pumpkin gnocchi (pronounced nyawk-kee) dish is a a long process to make but the end results are worth it. It might sound fussy, making the gnocchi– those Italian puffy little pillows of pasta– but, I assure you that it is really quite simple. I decided to go a more “rustic” way in preparing them– away with the traditional ridges and round shape in favor of the unadorned (and easier) pinch back. After the rolling and pinching, the sauce couldn’t be easier to prepare– just soak some sage leaves in heavy cream before stirring in grated Parmesan and pumpkin puree. 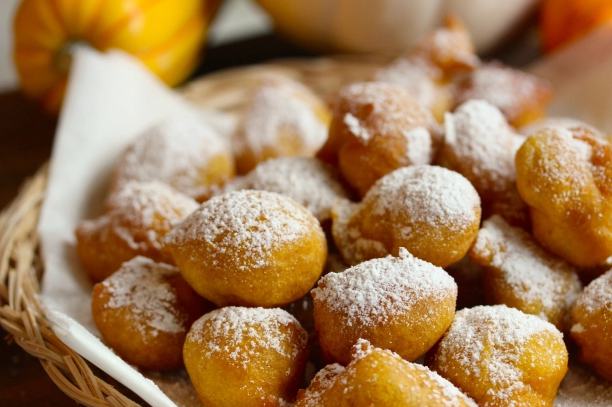 These pumpkin fritters are sweet and perfect for fall. We guarantee they will disappear quicker than you could ever imagine! Enjoy! Did you know that adding sparkling water to the batter makes the fritters lighter and crispier? So, taking advantage of Ferrarelle sparkling water I’ve been given, I made delicious fritters with the quintessential symbol of autumn : pumpkin. Ferrarelle is the sparkling water of my childhood, its distinctive green glass bottle with the red label was always on my grandma’s table. Head to Bread, Love, and Dreams for this recipe! Autumn is our favorite time of year. It’s a time of change; the air is becoming cool and crisp, the trees display their vibrant orange and yellow leaves, and the weather starts to get a bit more interesting. 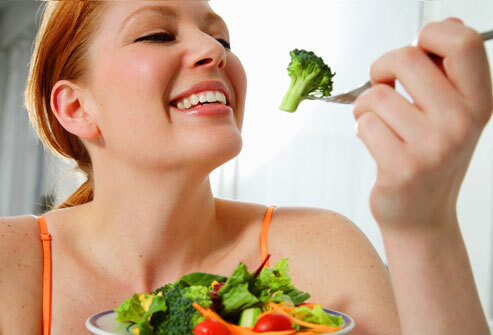 I also love the food that becomes more popular this time of year. Hearty root vegetables and an array of squash come to the forefront, along with earthy spices like cinnamon, nutmeg, and ginger. Sweet potato and pumpkin casserole is one of our favorites…this healthy recipe will be sure to cure those pumpkin cravings while providing optimal fueling for recovery! Head to Recharge for this great recipe! 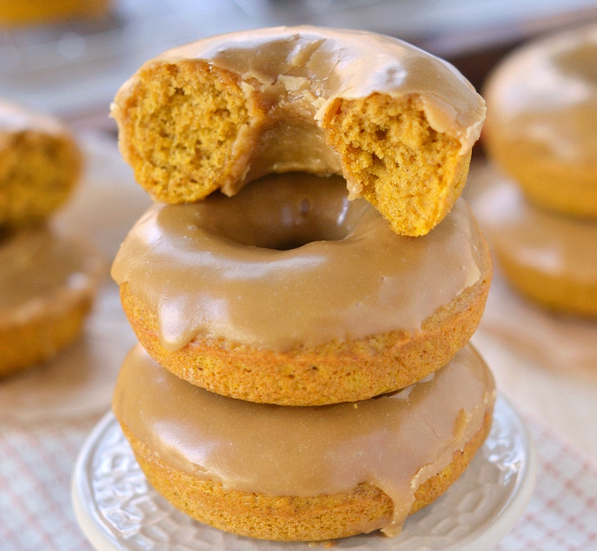 These easy Baked Pumpkin Spice Donuts with Maple Glaze are perfectly moist and bursting with flavor – the quintessential fall breakfast! Bake some up today! These donuts are baked and that’s become my favorite donut-making method over the past several years. There is hardly any mess and you can make at least six donuts at a time which is the key to a happy family in my opinion. Nobody likes to wait for donuts around here. Head over to Mom on Time Out for this incredible recipe! I love fall. I love the changing colours of the falling leaves. I love the little nip of cold in the air. I love pumpkin. And I love this cake. 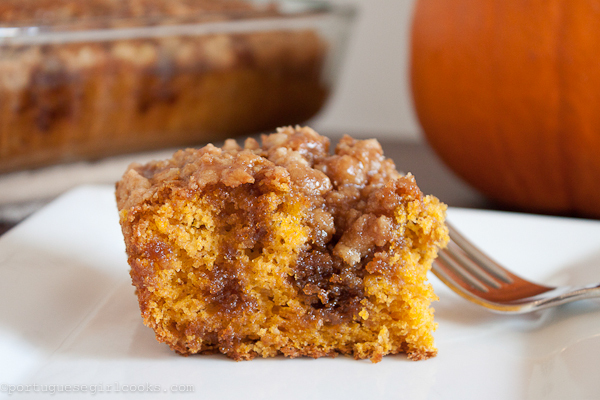 Pumpkin baked goods just seem so perfect. I always seem to have some pumpkin puree in the fridge because of those pesky 28 ounce cans of pumpkin. Since I had some leftover pumpkin puree left, that was begging to be used; I decided to make this. I wanted something quick and easy, and not to mention delicious. I looked around the internet and remember seeing a picture on Pinterest of a can of pumpkin and a box of cake mix, and was slightly intrigued. I made a few changes to the recipe, which included a vanilla cake mix instead of yellow cake because thats what I had on hand. I increased the streusel; because who doesn’t love streusel? Lastly, I incorporated espresso into the brown sugar glaze, and I think it gave it an amazing flavour. Head to Portuguese Girl Cooks for this great pumpkin recipe! 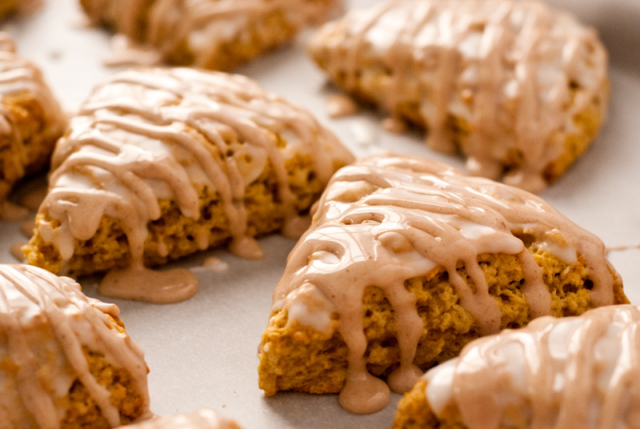 Christina’s delicious looking pumpkin scones with double glaze caught our attention right away, and you should go run off and whip up a batch now! These scones are not that all-too-common dry, uninteresting variety. They are moist and springy, the pumpkin flavor plays subtly with the Fall spices, and the sweetness is just right. In fact, if you eat the scone pre-glaze, it isn’t sweet enough; but with the glaze, the flavors all come together perfectly to make every bite equally satisfying. 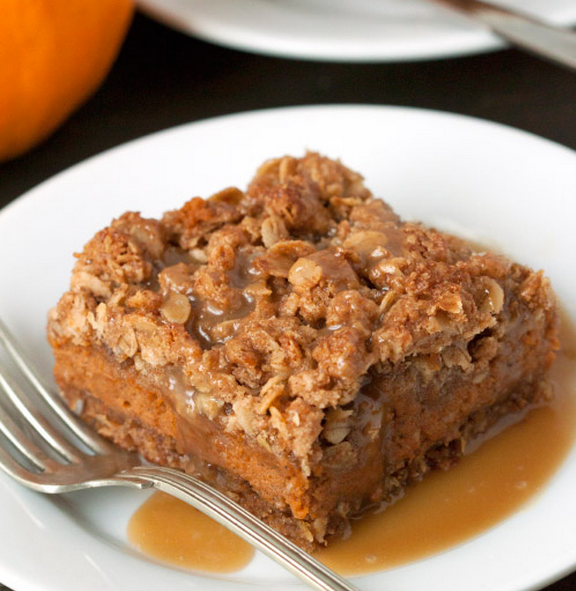 Heas to The Shoebox Kitchen for this amazing pumpkin recipe!